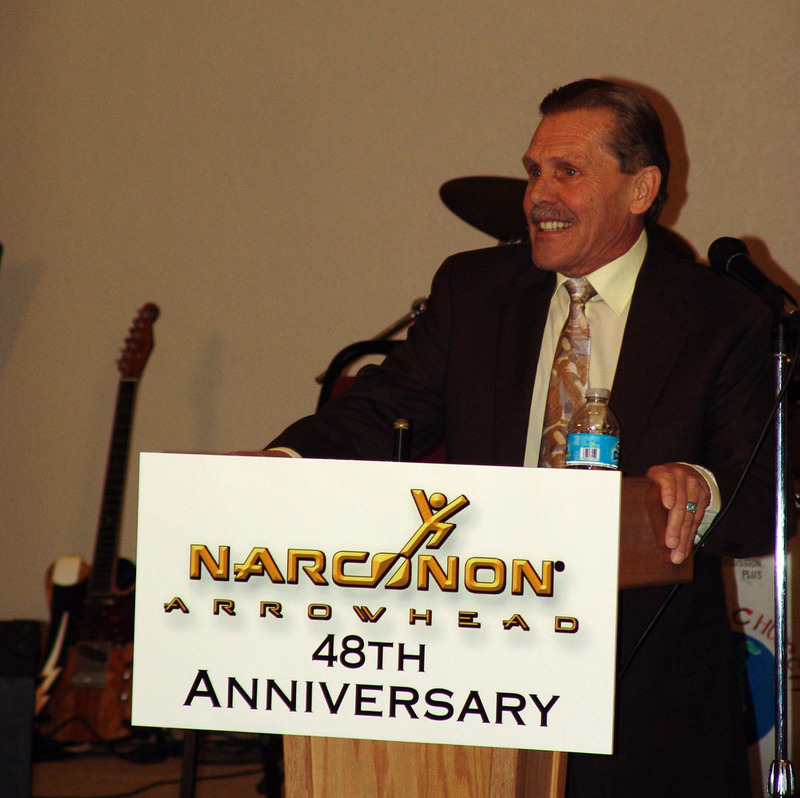 The 48th anniversary of the founding of the Narconon drug rehab program was the occasion for Narconon Arrowhead in Canadian, Oklahoma to welcome friends, graduates and neighbors to a celebration. Every day, we are grateful for the support and contributions of our neighbors. We have a goal in common – and that is safe communities in which to live and raise our children. We are glad to have their participation in our forty-eighth anniversary event. On a rainy Saturday in early March 2014, Narconon Arrowhead staff and executives welcomed members of the community into Arrowhead Lodge for an anniversary event. The reason for the event was the 48th anniversary of the founding of the Narconon drug rehab program. Because of the hard work of founder William Benitez and the inspiration he received from the written works of L. Ron Hubbard, this program has gone on to save many thousands of lives. While Narconon Arrowhead arrived in Canadian, Oklahoma in 2001, the rehab program itself came into being in 1966, while William Benitez was an inmate in the Arizona State Prison system. As a longtime heroin addict, he had been searching for a solution for years. He finally found it in the book Fundamentals of Thought by Mr. Hubbard. The story of his inspiration was shared with this audience by the executive director of Narconon Arrowhead, Gary Smith, in the opening speech of the event. The audience then got to hear the stories of two graduates from this drug-free rehab program. Dillon, a young man who had just completed this program, spoke about the changes he had gone through and how he wanted to learn how to give back and make amends for the damage he had done while addicted. He was followed by Dena Boman, a past graduate whose primary work is helping those who need rehab find this holistic approach to recovery. Narconon Arrowhead executives presented two awards to community members who have gone above and beyond the call of duty to help people find lasting sobriety. The first award was presented to a member of the United Methodist Church in Canadian, Oklahoma. For years, this church has sent a bus to Narconon Arrowhead every Sunday morning so that students on the rehab program can attend services. About this church, Gary Smith said, "They keep their doors wide open for our students and any others in the community who may need support in leading honest, sober lives. We appreciate the contribution they make to our students’ recovery." Also awarded for their community service were the Reverend James and Cleo McLaughlin. This couple has long been involved in helping the addicted find a new path, and have been able to utilize the Narconon recovery technology in their projects. Two musical acts provided more than just entertainment. Sally, a student still on the program, performed Sally’s Song, a piece she wrote about her ongoing recovery. And Hank, a graduate of the program who now plays in a Christian rock band, returned to Narconon Arrowhead to provide more musical enjoyment. 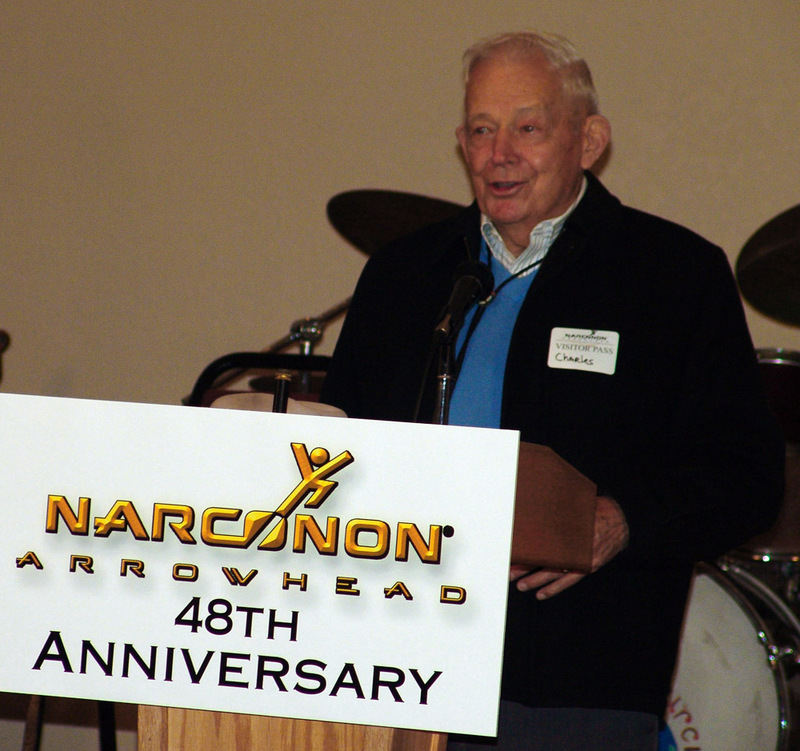 Narconon Arrowhead also welcomed Charles Smith, a local resident, to the podium. Mr. Smith treated the group to stories about the early days of the lodge and how revenue from the lodge helped finance utility improvements in neighboring areas. "Every day, we are grateful for the support and contributions of our neighbors," concluded Gary Smith. "We have a goal in common – and that is safe communities in which to live and raise our children. We are glad to have their participation in our forty-eighth anniversary event." For more information on the Narconon rehabilitation program or Narconon Arrowhead, please call 1-800-775-8750. Executive Director Gary Smith addresses the attendees. 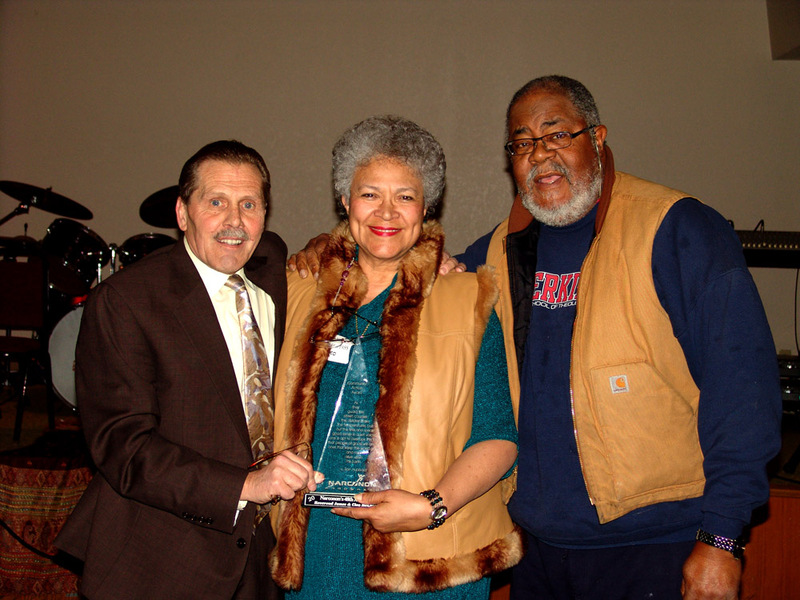 Reverend and Cleo McLaughlin receive award for their years of support. Guest speaker from the local community.